The "LDP" is our challenging outdoor leadership progression for teens. LDP instructors coach on group facilitation and leadership, teach technical outdoor skills, and ask participants to collaboratively make consequential decisions. Participants may apply for a space in Explorers, Equestrians, or Mariners without previous experience at Camp St. Croix. Once those courses have been completed, a participant may be invited to take part in Advanced Explorers, Advanced Equestrians, and Advanced Mariners. Acceptance is competitive and limited space is available. Applications will be reviewed on a rolling basis beginning January 1, 2019. Space is not guaranteed for applications received after March 31, 2019. As with all Camp St. Croix programs, financial assistance is available. A two-week session designed to challenge dedicated campers to improve their outdoor, leadership, and group facilitation skills. Intro LDP Campers will participate in a variety of off-site programs hosted by our amazing program partners. 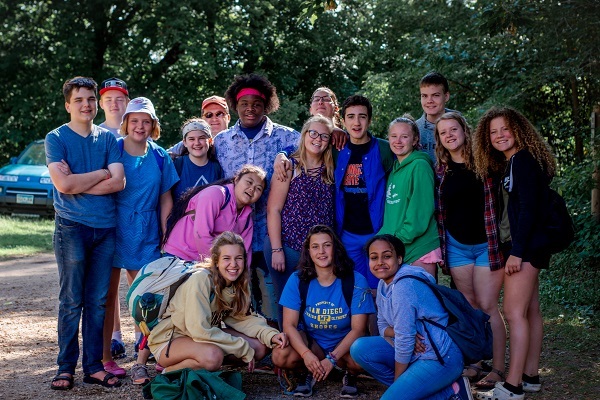 While at Camp St. Croix, they will engage in service leadership projects and shadow counselors as they work with the younger camper population. This four-week session is designed to take our leadership development model to the next level. Advance LDP Campers will rock climb, paddle, sail, and ride - all while working as a group to make decisions and utilize our 445 leadership model. They will also take on a great amount of responsibility at Camp St. Croix, facilitating games and activities for younger campers. A global center of excellence. For years Camp St. Croix has welcomed both expatriate and foreign national boys and girls (age 10 - 17) from around the world for a month of classic American summer camp. With cultural immersion elements like American family homestays and field trips (yes, we will go to the Mall of America) the month is absolutely a once in a lifetime opportunity. Contact Camp Director Brice Percy for more information.